Grakn: An 'Intelligent' Knowledge Graph Database — Grakn (GitHub repo) is an open source (GNU Affero) knowledge graph database built in Java that’s targeted at organizing and analysis complex networks of data (such as the logistics of the London Underground system, perhaps). SQLite 3.28.0 Released — The version number makes it sound like a relatively minor release but the latest SQLite packs in a lot of enhancements including support for EXCLUDE, window chaining, and GROUPS frames in window functions. 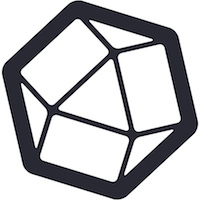 InfluxDays: The Only Event Focused on Time Series Data — Attend InfluxDays London on 6/13-6/14 and learn why TSDB’s are the fastest growing database segment. 20% off code: LONDON. The Definitive Guide to InfluxDB in 2019 — InfluxDB is an open-source time series database built in Go that provides a SQL-like language for querying. This guide is more a definitive introduction to InfluxDB than for existing users. The Cost of Useless Surrogate Keys in Relationship Tables — A look at the pros and cons of using natural keys versus surrogate keys. The 'Data Scientist' Title is Evolving Into A New Thing — The term ‘data scientist’ has been adapted and twisted to fit a lot of different data related roles from SQL-oriented business analyst to machine learning jobs. Improving Key Expiration in Redis — Twitter is a heavy user of Redis, the popular data structure server. They were running into some interesting performance issues on their cluster which they’ve resolved yielding up to a 25% reduction in memory use. Microsoft Expands Hadoop on Azure — Microsoft has upgraded its open source analytics services running on Azure with a new version of Hadoop incorporating enhancements of Apache Hive and other open source analytics frameworks. Past to Present: The Evolution of Geographic Information Systems (GIS) — Geographic data has long held a special place in the database world given the extra requirements and query types it demands. How Postgres Is More Than a Relational Database: Extensions — Extensions allow Postgres to be customized in cool new ways. 10 favorites from the Citus database team. SQLiteQueryServer: A Way to Expose an SQLite Query Over The Network — Give this an SQLite database, an SQL query, and it’ll make it available over HTTP, complete with extra params. Miniredis: A Pure Go Redis Server, Ideal for Unit Tests — A mature project and has gained support for pub/sub in the past few weeks. pq: The Pure Go Postgres Driver for database/sql — v1.1 came out this week dropping support for Go 1.8 and below.